I don’t think I’ve ever came across anyone who isn’t up for a evening face mask when they’ve had a stressful long day, and boy have I found the king of them! Clay masks must be my favourite as I love the thick texture they have on your face. You could say clay masks are the more traditional and stereotypical face masks as they leave that gewy texture on your face that you leave to do its magic. And magic sums up the one I have for you here! 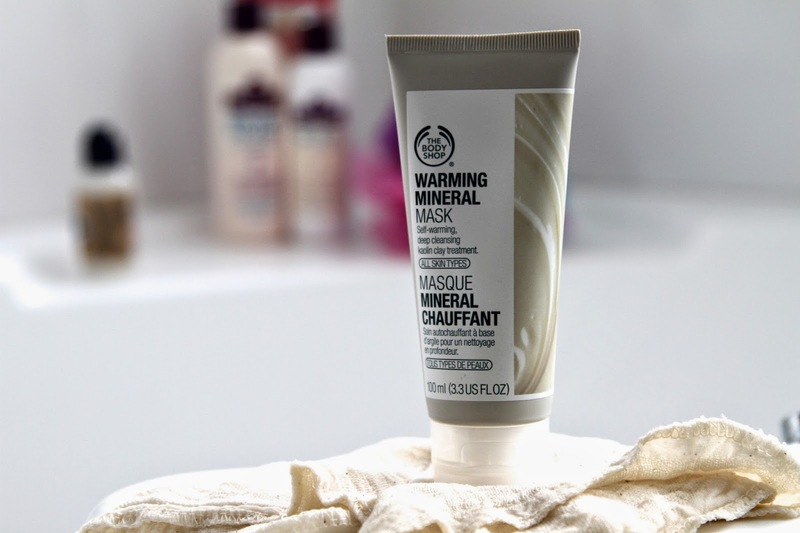 Mooching through the Body Shop’s amazing product range, I came across this little beauty… The Warming Mineral Mask. Now self warming masks haven’t ever sat in my shopping basket before, due to a bad experience when I was a kid, trying my mums warming mask out and feeling like my face was going to melt! All I remember was running into the shower to wash it all off my face and try and rinse the evidence down the drain before my mum knew what I was doing. But I felt like it was time to be a big boy and try this out again. The mask comes in a 100ml tube which is more than enough for plenty of use, and the packaging is very nice indeed. According to the tube the mask is “Self Warming, Deep Cleansing, Kaolin Clay”. On application, you immediately feel the mask warming its self up as straight as you apply it to your face, and I must say I have being missing out. The sensation is incredible and so relaxing! The mask slowly loses the heat the longer you wear it but it is recommended to leave on for 5 minutes, so I did. Perfect time to make a cup of tea. After I rinsed my face removing all of the clay, I could immediately feel the difference, my face felt firm and smooth. This was perfect to then apply my evening skin care routine. So if you were like me and have always being weary to try out self warming masks, or you love them and fancy a new one, I highly recommend trying this. Like I said the feeling in sensational and so relaxing! Costing £10 this little gem is well worth the price and fits perfectly as a weekly deep cleanse. Hope you found this helpful and make sure you check out my BlogLovin account from the link below. Let me know your deep cleanse mask! Next Post Health | Bimuno IMMUNAID and GIVEAWAY!